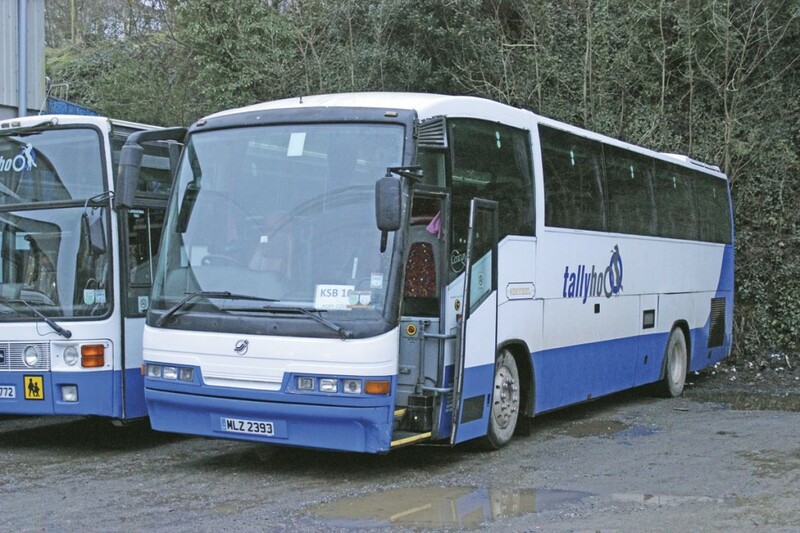 This week, falling fuel costs have prompted Tally Ho Coaches to slightly reduce the prices they charge customers. I doubt many other operators will be rushing to follow suit having carried much of the burden when fuel prices were rising, but for Tally Ho it is too good a marketing opportunity to miss and an example of how the business tries to gear everything it does to pleasing customers. Don’t get the idea that it is a purely philanthropic venture – with an MD who spent his life managing banks the need for profitability goes without saying – but it is a business that believes knowing who your customers are, getting the relationship with them right and treating them fairly is the foundation of a good operation. New strategic thinking, close attention to the balance sheet, careful investment, the training and development of existing staff, key appointments and a willingness to try innovative ideas, along with an emphasis on marketing that has seen it appoint a high profile advertising agency, are just some of the factors that have transformed a company close to collapse to one with a new dynamism and belief in the future. 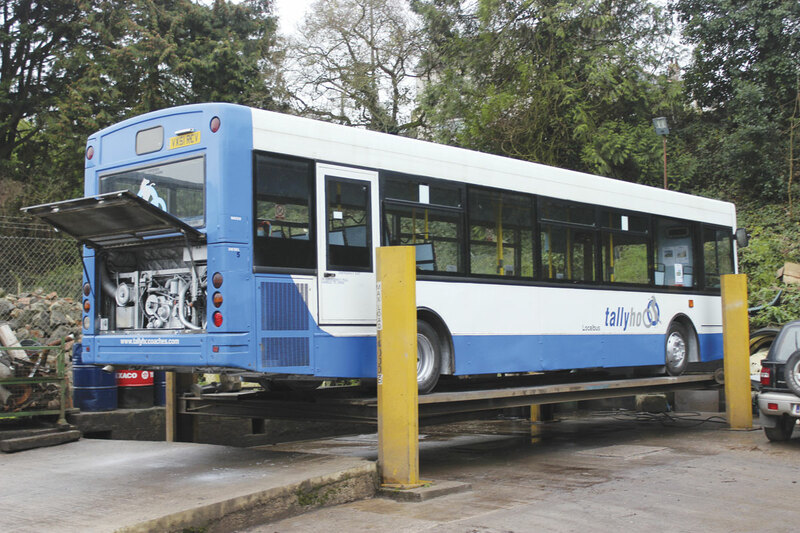 Based at Kingsbridge in Devon with a second depot at Ivybridge, Tally Ho Coaches has a long history. 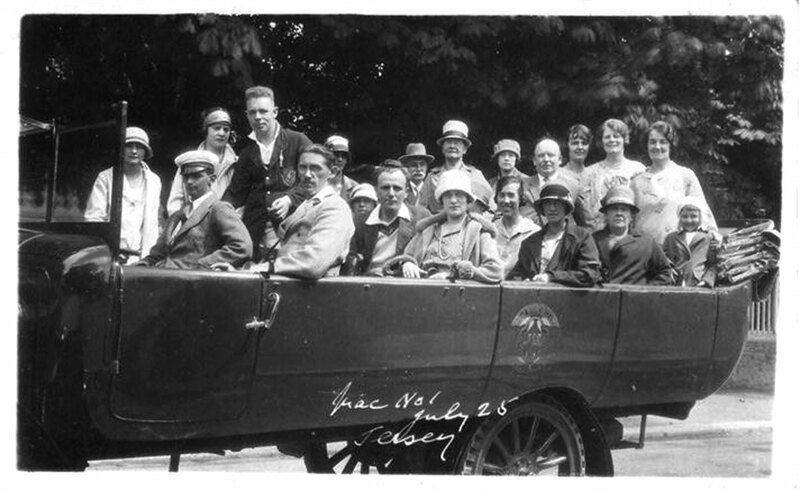 It traces its origins back to 1923 when rabbit farmer Jimmy Clark of East Allington bought a new bed for his truck that converted it into a charabanc for weekend bus work. Ten years later he acquired his first dedicated bus, a six year old De Dion which he christened the ‘Tally Ho Sunshine Coach’ employing it on weekend tours and school work during the week. Other buses were acquired and the Second World War saw the company making its own contribution to the war effort in a variety of ways. In 1944 it also resulted in the company’s first new bus purchase, a Bedford OWB. The operation grew after the war undertaking schools, private hire and sporting hires. In 1960 the business was acquired by existing coach operator, Jim Wellington (trading as Kingsbridge Belle) and Desmond Gullett though the two coaching operations were kept separate. 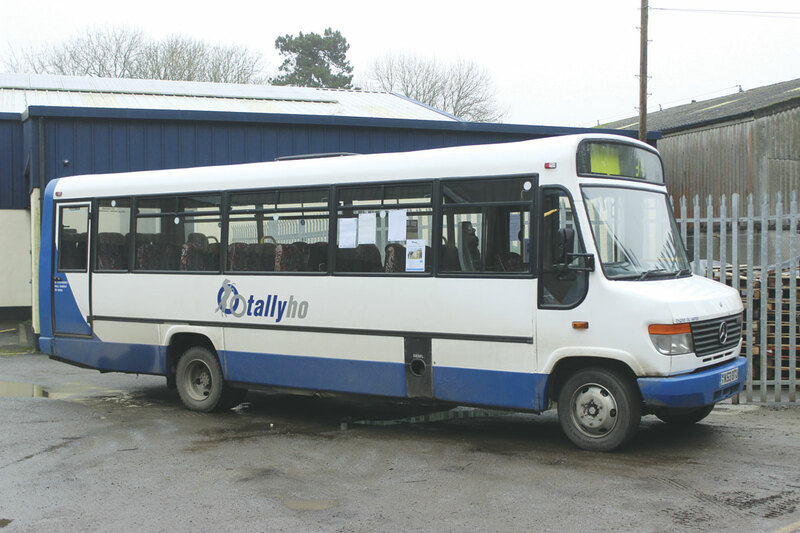 A move was made to the current location in the former Kingsbridge Railway Yard in 1971 when Tally Ho, the Wellington family’s fleet as well as the Salcombe Motor Company and Walls of Dartmouth operations acquired in the interim, were merged. Four years later Hoare’s of Ivybridge was acquired and an out station established there. In 1985 the Wellington family became sole owners, adding the Stephens of Modbury concern in 1999. A fire burned down the premises in 2005 by which time it was being run by Simon Wellington. Sadly he developed Motor Neurone Disease soon after and became confined to a wheelchair. Though he managed to rebuild the building the company was facing difficult times. As a result a deal was struck with former local Midland Bank and HSBC bank manager, Don McIntosh and his business partner Richard Pullan, both local residents. The deal was agreed on 1 April 2008 and completed a month later on 1 May. 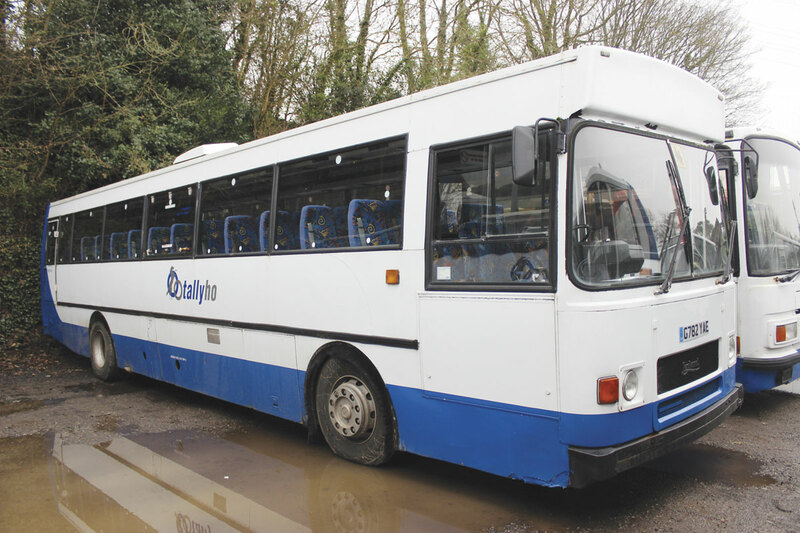 At the time it was predominantly dependent on a combination of tendered school contracts, local bus services and private hire, with a fleet that was ageing. The new owners had no prior experience in bus and coach operation and Don set about obtaining his CPC qualifications with Simon remaining the nominated Transport Manager until he had done so. VOSA were very helpful at the time. Sadly, Simon died in 2011. From the outset it was always the plan to develop the business and set it going forward. Had things not worked out the risk was not an immense one because the purchase price reflected the value of the land and buildings. If things had gone wrong the money could have been recouped from selling the property, though this was never the intention, as has been proven by subsequent events. In September 2008, only months after the sale, Black Friday changed the world, and it became clear that it would eventually lead to cuts in what local authorities were able to spend. Not wishing to have the direction of the business dictated by local authority finance, it was determined that the structure needed to change. It wasn’t that there was any failing of the relationship between Tally Ho and Devon County Council, it was a desire to ensure that the eggs were not all in one basket. Two significant changes in emphasis were decided upon. Firstly, a new holiday division was opened and secondly a determined effort was made to attract private contract work. 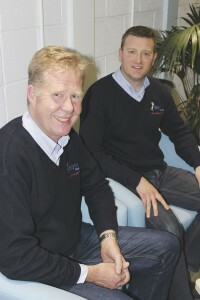 Both have proved successful with the private contracts going well and the holiday programme an ‘outstanding success’. It required a lot of investment to get it going but it is now contributing profit. The timing of the main changes made was fortuitous, as they were completed before fuel prices went through the roof. It ensured that the business avoided making the losses that could easily have been incurred because, to begin with, there wasn’t a lot of room to manoeuvre before quite a serious challenge to the viability of the operation would have been faced. The different areas of the business were departmentalised into three separately targeted units (Holidays, Engineering and Bus and Coach operations) in order that each could achieve its fullest potential. Schools contracts in all of their forms remain the mainstay of the business. Local authority contracts are held with Devon County Council and Plymouth City Council as well as the various private contracts in which the company specialises. Bus service operations are centred on a small bus station in Kingsbridge owned by the local authority, though Tally Ho pay rent and rates for the use of it, as do First. There are five main registered routes along with a small number of other services that operate on certain days of the week. The network is a combination of commercial and subsidised provision that is deeply rural in nature. Investment in the bus side has seen the fleet upgraded to low floor ahead of the DDA requirement to do so, using Optare Solos and an ADL Enviro 200. The attraction of the Solos was the Slimline version which is invaluable on the area’s narrow lanes. Turnover among the bus driving team is virtually non existent. Described as ‘fabulous’ by Don, the drivers know nearly everyone on their buses – and their families. Part of the community, they look out for passengers and do what they can to assist them. He couldn’t recall a member of the team leaving in recent times. I mentioned earlier some of the deficiencies in the business when it changed ownership, but what also should be mentioned is the very great strengths it had, especially in terms of the people employed. He singled out a number of individuals who have taken on additional management responsibility. Mark Drews, Traffic Manager, joined the company as an apprentice engineer, went on to run the workshop and was challenged by Don to take his CPC and a subsequently a wider role. Steve Pengelly, Head of Engineering, has been with the company for 38 years, having started as an apprentice. He can fix anything. Helen Chapman, Tour Manager, who was in Amsterdam when I visited, heads up the Holiday department working with fellow Tour Managers, Don’s wife Hilary and Graham Messenger who joined recently having once been with CPT. Mark Mabey, a long time Tally Ho employee, also took up the CPC challenge and has just taken on the new role of full time manager at the Ivybridge depot, close to the A38 and with a dozen vehicles. There are currently five people within the company who have their Operator’s CPC qualification, all having obtained it through Friendberry in Tally Ho’s new era, with a sixth training for it. In addition, Lloyd Morgan have been employed to provide refresher CPC courses to keep everyone up to speed, on top of which anybody going to a meeting, such as a CPT or CTC event, will circularise any new knowledge they acquire on their return. The same long term approach is taken in the recruiting of new drivers. With the exception of a few experienced individuals, most of those taken on go through a Tally Ho devised apprenticeship. Government apprentice schemes can’t be used because nowhere within the area offers them. The first three driving apprentices started 18 months ago. 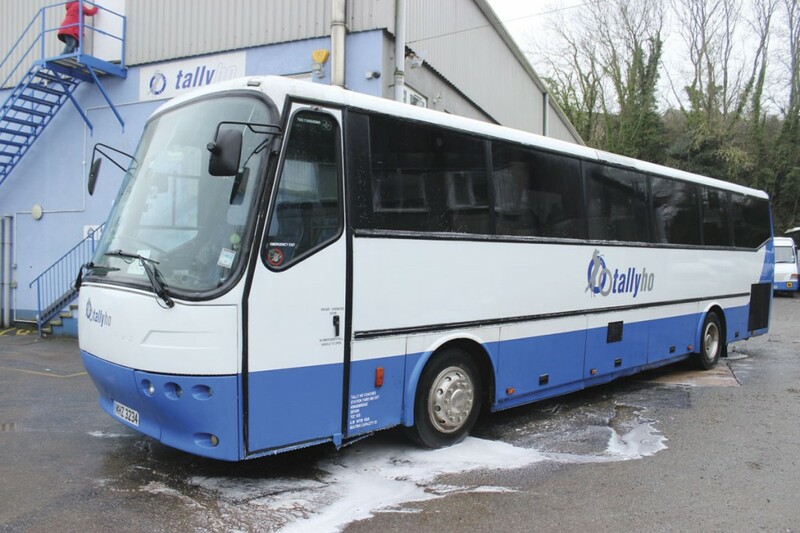 The programme sees them gain bus washing and workshop experience before taking their PCV driving tests. Once they have passed they spend a minimum of a year on service buses. One member of the initial trio has shown so much promise that he is taking his CPC in February and it is hoped that he will be capable of joining the management team in a year or two’s time. It is important for the business that it starts to attract younger drivers because most of the current part time school drivers are 60 or more and similar individuals are no longer available to replace them. There is recognition that, unless money is invested in bringing some younger people through, school routes will have to be dropped at some stage, something the company is not keen to do. To keep up with the Driver’s CPC, two days of courses are arranged twice a year, so those that want to can gain four days in a year or just one to stay topped up. The company pays half of the cost and the driver the other half. Having concluded early on that the tour side offered opportunities, a marketing graduate was hired to develop the operation and some funding was obtained for a local college lecturer to assist her. Together they started from scratch in identifying where they were, who the potential customers could be and who the competitors were. The aim was not to compete with existing customers but to do something a little bit different. Based on what they started to find, a small programme of five holidays was offered in 2009 along with a larger day trip programme and things have gradually built up from there. Last year the turnover grew to £390,000 and this year the target is to reach £500,000. Brochures are issued every six months with reminder brochures between. The latest editions display a revised company logo, featuring a rampant horse, that has replaced an earlier horse and coach wheels emblem. In order to attract people a number of initiatives have been developed, one of which is a programme of coffee mornings designed to create a club like atmosphere that suits a predominantly female audience. Surprisingly, 89% of those making bookings are female, though not 89% of those travelling are. Club membership cards are issued and bookings earn points that bring discounts on future holidays. The marketing budget is split between winning new customers and looking after those they already have because it costs so much to attract customers that once they are on board you can’t afford to lose them. The minimum hotel standard is that Don and Hilary have to like it. All hotels are inspected beforehand and very few conventional hotels are used, I was told. The target market flies a lot, so the standard has to match their aspirations, which is why a tour manager is provided on every trip along with free chilled bottled water and Tally Ho sweets. Keeping passengers fully informed is important because they expect it. Coaches need to match the standard and drivers need to be of ‘a certain personality.’ Bonding is through BCH and the company is a member of both CPT and the Coach Tourism Council. Three eight or nine seat Volkswagen Shuttle/Caravelle minibuses are used to provide a feeder service that links in with tour and excursion departures, minimising journey times and avoiding the hubbing that many passengers dislike. Always looking at new ideas, consideration was given to operating the continental programme using coaches hired in from other operators, with one tour running successfully in this way. However, although on the face of it less profitable, it was ultimately decided to use the company’s own fleet because it would have been too big a demotivator for the driving staff if they had only had the opportunity to do the UK jobs. While own tours were seen as a big opportunity, private hire was identified as an area that was holding the business back. For Tally Ho, private hire represents the worst of all worlds. In the most competitive market it occupies the most expensive vehicles sporadically doing good work but taking up a disproportionate amount of management time. It is for this reason the amount of private hire undertaken was reduced year on year. The approach adopted was that any private hire done had to be at the right price, shying away from situations in which a customer was only interested in the lowest price. To an extent, this has paid off and what private hire is being done is for a different set of customers. The private hire side is not advertised and they are increasingly finding that holiday bookings are taking away the capacity to do it. What has been the private hire fleet is gradually becoming the holiday fleet. It has taken a lot of effort but the holiday side is now at the point where it is breaking even and making a profit. Showing just how serious they are about developing the holiday business, the Blue Soup advertising agency, already used by two other large coach companies, has been contracted to handle advertising, Google AdWords (pay-per-click) and website optimisation. Their services do not come cheap but it is a case of doing it properly or not bothering. Having spent around £4,000 annually on Yellow Pages and various other local directories until a couple of years ago, this money is now spent on Google. It has brought in a lot more business and of the sort they are looking for because it is accurately targeted. With social media increasingly seen as the way to communicate, Tally Ho has a presence on Twitter and Facebook. There is also a blog which helps to get the website noticed. One of the challenges has been to get customers buying on line, which the website is set up to do. The pain of setting up on line payment systems has been endured to facilitate this. Despite this, monitoring shows that a lot of people still look on line and then phone up to book because they want to talk to a human being. 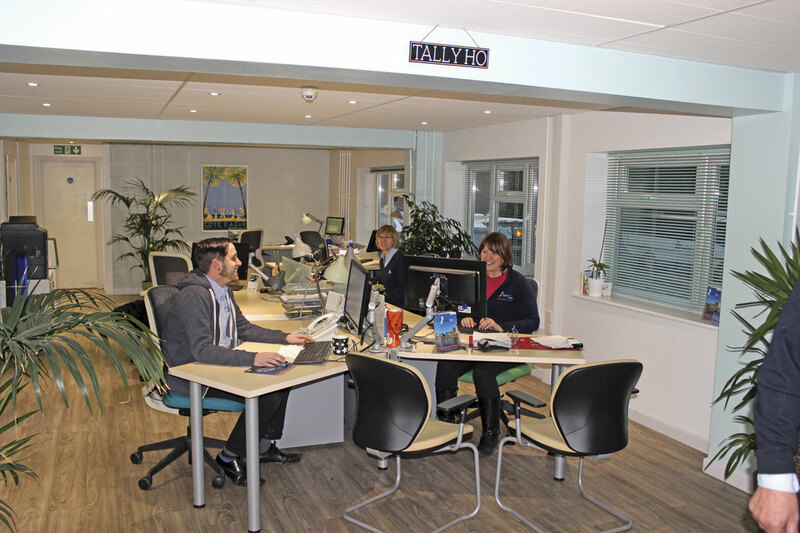 If they call into the Kingsbridge offices, they will be greeted in an environment developed by interior designers to complement the holiday mood. 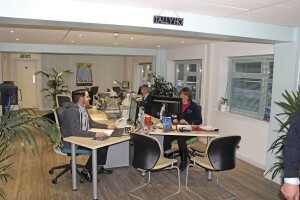 Similarly, the Ivybridge depot also has a new office building that creates a positive impression. The marketing model is still being refined but when it is finished the belief is that it will be possible to significantly increase sales in other geographic areas. It is increasingly the case that Tally Ho is a marketing organisation more than it is a bus company. Headed by Steve Pengelly, the workshop team is eight strong including an apprentice and Tracey Ferguson who is ex-Forces and fully Health & Safety trained. Her role is to buy parts, keep VOSA vehicle records on computer and paper, arrange things for external customers and look after H&S compliance issues. The philosophy adopted for the fleet is one of preventive maintenance. If something goes wrong on one side of a bus, the parts are replaced on both sides. This strong emphasis on investing in the vehicles initially cost a fortune, especially when parts prices went up as oil costs rose, but after a time the company came out of the other side and it started paying back when buses stopped breaking down. The test is that now the tow-truck doesn’t go out of the yard for six months at a time. Once upon a time it seldom cooled down, I was told. The truck, a Seddon Atkinson, is about to be repainted in the latest livery. It isn’t all about Tally Ho’s own vehicles because the workshops are tasked with deriving 30% of turnover from external sources, be they regular maintenance contracts or bodywork tasks. Quite a number of local truck operators use the service which also helps them to keep their records straight and the local fire service is a customer. There are hopes that the engineering operation might get bigger with the right breaks. The team believe that there is room for a good quality engineering operation locally and all of the equipment necessary is already in place. There are five pits, one of which has a rolling road. The spray booth, which can handle double decks, is currently being upgraded. With the DVSA encouraging operators to ensure vehicles have three brake tests a year the brake testing equipment is in demand. Consideration was given to becoming an ATF but it was decided against. With just shy of 50 vehicles occupied on different work across the two sites, a degree of variety is to be expected, though with full sized vehicles from Bova, DAF, Dennis, Leyland, Scania and Volvo and smaller vehicles from Dennis, Ford, Mercedes-Benz, Optare, Renault, Toyota and Volkswagen, the diversity issue does seem to be covered. 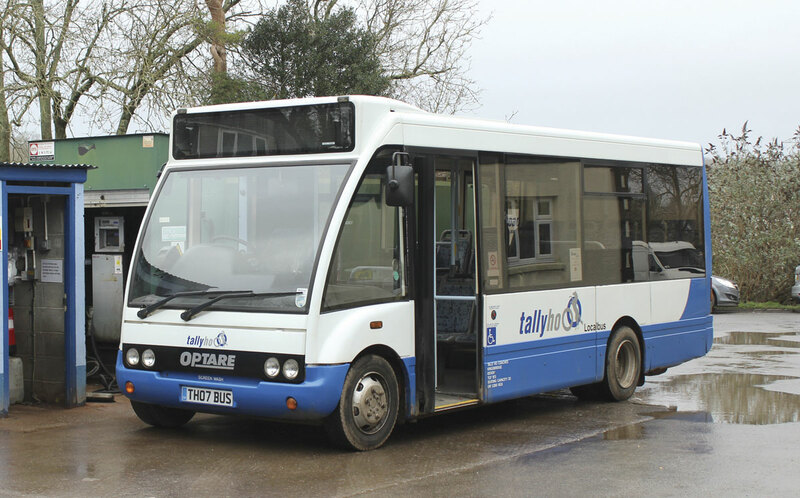 Supporting the larger coaches is an Optare/Ferqui Toro bodied Vario with 32 seats that is extremely popular with customers, regularly venturing abroad. It is used on more lightly loaded departures and tours for which tickets numbers are limited. Small buses have always been popular with large numbers of Bristol LH models operated into the 2000s. Today’s three Optare Solos date from between 2005 and 2007. Apart from the specially liveried Enviro200 that promotes local company ‘Toad Hall Cottages’ there are five low floor Dennis Darts and one older step entrance Wright bodied example. The acquisition of more is anticipated as the plan is to replace conventional coaches with them. A recent acquisition is an MPD formerly with Cardiff. Mercedes-Benz minibuses seating 16-33 represent more than a quarter of the buses owned, with a wide variety of body manufacturers featured. All are seat-belted and many are used on school contracts which permit the retention of the older examples following the DDA changes at the year end. 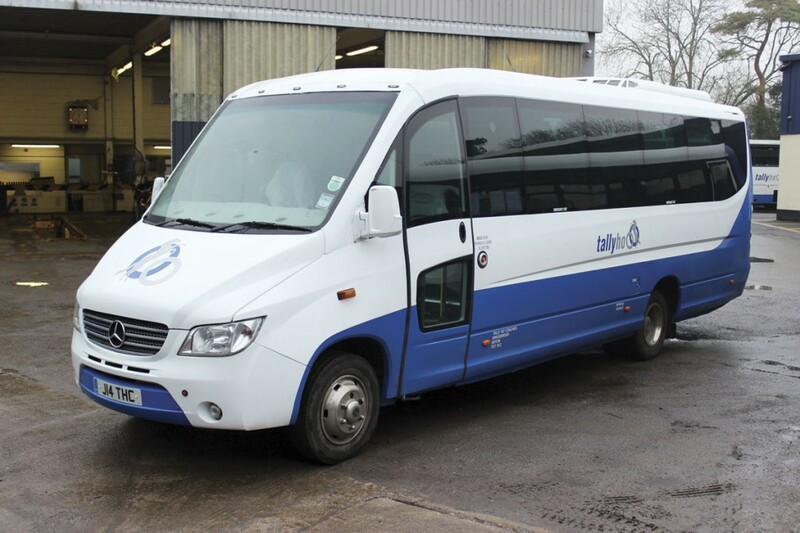 Four of the fleet are high capacity 68-70 seaters used on schools and two more may be required shortly. All are single deck, the last double decker, a Volvo D10M that was the oldest bus owned, has recently departed. It only used to work for five weeks in the summer on an evening nightclub run that has been given up. A lot of older vehicles have been replaced in the last few years as part of an ongoing process, though it will take some years yet before they can get to where they would ideally like to be. Quite a few are bought through Martin at Stafford Bus Centre who they have found is very good at getting buses belted and certified. The immediate issues facing the new owners have been addressed, the plans put in place are starting to deliver dividends and the regular monthly accounts will swiftly flag it up if anything starts to go off track. There will more challenges to meet in the future, among them the modernisation of a fleet in which more than half of the vehicles were built pre 2000 and the recruitment of a new generation of workforce to replace the current team when they retire, but solid foundations are being laid and they are providing the platform to ensure that the Tally Ho business continues to develop and remains a part of the fabric of Kingsbridge and the South Hams for many years to come.